A purple rooster, a trampoline with no springs, half a stick of gum, and a sad pet rock. What do all those items have in common? Like group D played last Sunday, none of them make sense! Group D aka Group Disaster, is the beginning of what will be a completely unpredictable two weekends. Only two of the top 10 ranked players, hero and ZerO, are remaining in the group stages. The rest are a bunch of B teamers, yes, including the lower than Jaehoon Elo-ranked Movie. This is the opportunity for these small time players to take the spotlight. Looking at the overall picture, pressure is on for Terran players especially. Only one of five Terran players has managed to advance. Sharp. Zerg on the other hand, is very well represented. Should Zero and hero advance, the round of 16 will have all five top Zergs including Larva, Killer, and EffOrt. The best advice right now is to brace yourselves as it seems round of 16 and on will be full of TvZ excitement. Read on as BigFan recaps the first two Ro24 groups and c3rberUs reports on the Bisu vs Larva match in group C. BisuDagger and BLinD-RawR then preview groups E, which starts on Sunday, Jun 21 10:00am GMT (GMT+00:00) and group F, which follows a week later on Sunday, Jun 28 10:00am GMT (GMT+00:00)! Bisu! Got your attention? One of only two S-class players in the current BW scene, his absence from SSL10 called into question its legitimacy due to him being unable to defend his title. His other opponents in group C, Larva, IcaruS and Major lacked the same starpower as the former BW superstar. One thing is certain about Bisu aside from his good looks, he's a really captivating player. In his first game against IcaruS on Circuit Breaker, he opened with a proxy gate and through great positioning, denied scouting of his base. He scored some major economic damage with dark templars before landing the finishing blow with his remaining army. In the other game between Larva and Major which was played on the same map, Larva went for crazy Zerg and kept Major pinned down in his base with some good mutalisk micro. However, soon after, Larva shifted gears and focused heavily on his economy while maintaining his impregnable defense. Once his economy was up and running, he easily overwhelmed Major to take the game. The winner's match which saw the clash of ex-SKT teammates, Bisu and Larva, took place on Neo Jade. In one of the most entertaining games of the night, both players were very resilient in their attempts to best each other. After opening with a proxy 2 gate, Bisu contained Larva using cannons. Right before that, Larva fought back with a zergling runby that took down probes in Bisu's base and kept him busy while Larva tried to take some hidden expansions. He eventually went for overlord drops and managed to break out (gif) but lost shortly afterwards to Bisu's superior army. See the battle report below for more juicy details! On Neo Jade, IcaruS and Major faced off to determine who plays against Larva. Both players opened with a standard rax refinery fac build, but, Major decided to opt for a starport for wraiths compared to an expansion for IcaruS. IcaruS easily fended off the wraith attack and took the central high ground. Major tried to move around IcaruS army but was pushed back. He tried again using SCVs from his third as a buffer but the narrower attacking choke and IcaruS's high ground advantage helped cement his defeat. The final showdown of the group was between Larva and IcaruS on New Heartbreak Ridge. Larva opened with hatch first to the rax FE from IcaruS. After scouting the den and spire, IcaruS ended up adding valkyries to his MnM army. Overall, IcaruS fell short against Larva's dominating performance which included constantly translocating lurkers, catching valkyries out of position with scourge and great planning which led to many surrounds and won engagements. Bisu: Good foresight, quick thinking and a macro beast among other things are where Bisu really shines. His games were really entertaining and his confidence shows in his gameplay. He's going to be the hardest player to beat. Larva: Larva has a great attitude towards the game and great understanding of the various matchups. He played some great ZvTs today and his main weakness seems to be his ability to maintain his cool when under pressure to make something happen. IcaruS: Despite beating Major in convincing fashion, IcaruS was beaten by both Bisu and Larva in rather one-sided matches. His micro needs work and he needs to make better decisions. He's still got a long way to go before he can compete with other SSL players. Major: : More scouting is essential for Major so that he can make better decisions. His macro seems fine though his late game ZvT needs a lot of work. Arguably, one of the more balanced groups of SSL11 so far, group D's results were sure to surprise many viewers. In particular, both Hyuk and Guemchi seem to have elevated their level of play from SSL10 which resulted in a number of upsets. The first game between Guemchi and Hyuk took place on Circuit Breaker. Guemchi opened up with a forge FE against the pool double expand build from Hyuk. After establishing a good economy, Hyuk decided to go for 5 hatch hydra. Upon scouting this, Guemchi teched to high templars and added more zealots and cannons. However, Hyuk managed to hit an impeccable timing, before Guemchi was able to storm, and with some micro took the game. Hyuk's next matchup was against none other than the TvZ specialist, PianO who just got off from dismantling Kwanro on Circuit Breaker. In that game, PianO opened with a rax FE against the 3 hatch build from Kwanro. Despite trying to keep PianO guessing by getting both den and spire, PianO hit right before Kwanro finished morphing his sunkens and lurkers to easily overrun his army and take the game. On Neo Jade, both PianO and Hyuk clashed to decide who advances in first place. 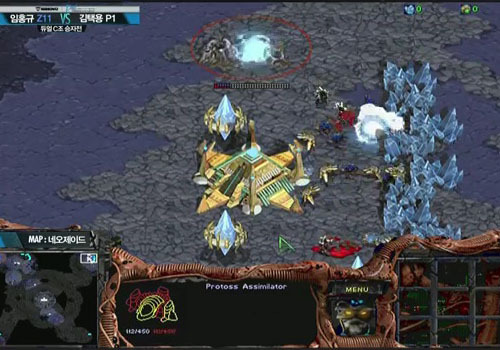 In what can only be described as a major upset considering Hyuk's past SSL performance, Hyuk took the game after PianO fumbled his bunker rush, carelessly got his first army surrounded by zerglings resulting in many casualties and turned a bad situation worse by not erecting enough turrets in time for mutalisks. Facing an overwhelming force of mutalisks and zerglings with only several turrets and marines, PianO tapped out after the last turret burned down and awaited the winner of the upcoming game between Guemchi and Kwanro. With both players at the steps of elimination, Kwanro decided to go on the defensive and focus heavily on his economy while Guemchi opened with forge FE and was more aggressive on Neo Jade. He attacked Kwanro's third not once or twice but three times! With each attack, he ate away at Kwanro's defense and massacred a lot of drones (gif). In the third attempt, Kwanro's elimination was sealed after Guemchi drew his army into the fourth with a 4 dark templar drop while simultaneously going for an all out attack on his third. And with that, PianO faced off against Guemchi in his worst matchup on New Heartbreak Ridge. After opening up with a rax factory build, he expanded behind a small marine+tank force with mine support. Guemchi opened with a proxy robo that went unscouted by PianO's vultures. PianO managed to scout the lack of an expansion and started building an ebay, however, it barely finished by the time a reaver dropped in his main. He was forced to pull his army back to defend which left his expansion vulnerable. Guemchi seized this opportunity to attack the expansion causing the command center to be lifted and took the game after his reaver dashed PianO's hope of any comeback! Hyuk: Surprise! That's all I could think of watching Hyuk's play. His previous abysmal SSL performance was that ingrained into my mind. Hyuk's mutalisk micro was great to watch and his planning and execution seemed better overall. It remains to be seen just how far he can make it. GuemChi: Guemchi is able to play both macro and cheese games. He's willing to take risks and also makes good decisions regarding engagements. 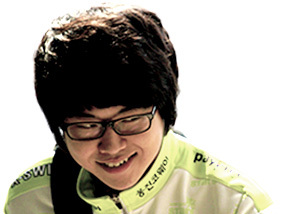 His PvZ seems solid overall and there is hope that he can make it far this SSL. PianO: More scouting and better execution are things that PianO needs to improve on. Based on previous experience, his late game TvZ is very strong which is why it's a shame that he's out so early, since he's capable of much more than what he showed us in his games. Kwanro: Disappointing performance all around especially considering that Kwanro was the KSL runner-up. His gameplay wasn't inspiring and he didn't seem to play as aggressively as one would think. Kwanro should practice and participate more if he plans to play in future tournaments. Bisu spawned at 1 o'clock while Larva spawned at 11 o'clock. Bisu decided that he's going to play with our heads and went for a proxy 9/9 gates in the middle of the map. Larva probably expected that Bisu will respect him and go for a macro game. The camera pans over to Larva's FPV to confirm his build and everyone sees a 12 hatch. Well... there goes that. Despite the names and the hype, we're in for a short game... Fortunately, Larva decided to cross-scout and sees the proxy and deals with the first zealot with some sick drone micro. However, it's too difficult to prevent his natural from going down, so Larva retaliated and rallied his lings past the zealots and into Bisu's unprotected base. Now, it was Bisu's turn to defend. He stalls enough for a few zealots to arrive but with speed upgraded, Larva picked off some probes one by one until he ran out of lings. Larva also had another trick up his sleeve. He knew that he can rush to mutalisks to which Bisu won't have any effective counter soon so he teched to lair. A smart plan. Everyone was rooting for it. Except when the observer panned over to his base, there's nothing upgrading anymore. Did he cancel it out of fear of an imminent zealot rush? Did he have a better plan in mind? Or did he just choke and canceled it accidentally? The thing is, we don't know. Anyway, he decided to go for 2 base 3 hatch hydra with a hidden base at 5 o'clock. It wasn't hidden for long with Bisu using his star sense to find it. With a flower field blocking his ramp entrance, Larva had no way to save it. Bisu also got corsairs and later, took his natural. Once again, the outcome of the game looked bleak for Larva. Larva had only one way to make a game out of this and that was to continue with his plan. He upgraded drop and speed on overlords, hoping to elevate his hydraling past the contain and into freedom. Bisu knew this and relentlessly parried the herd of overlords trying to cross the cliff. Then Larva caught Bisu sagging off and was able to drop some lings but they got intercepted immediately. Then a game-changer came into play -hydra range- that was picking off vital hp on Bisu's units near the cliff. After gathering a doom drop fleet, Larva charged at Bisu's now distant troops. Despite some mismicro from his part, Bisu's small contain force was blown away. Larva was now free to ferry his units to the open and shut down the proxy in the middle. Bisu's low economy opening was also beginning to bite him back as he had so little to defend with, relying almost solely on cannons for defense. Unknown to Bisu, Larva also had a hidden 2nd base at 4 o'clock. Larva was rolling. After sneaking a peak at Bisu's natural, Larva decided he needed to clean up his front yard. He gathered all his hydras and smashed them into the flower field. Bisu's contain finally fell but at the cost of almost all of Larva's hydras and all but one overlord was left alive. Bisu, knowing that Larva clearly smashed his head on the wall wasted no time and went for the kill with speed zealots and HTs. He walked into Larva's main, killed some more hydras and bathed Larva's drones in psionic energy. GG from Larva. Coup de grâce storms. Poor Larva. The pleasure of predicting group E, besides the known fact that hero will advance, is that all three of the remaining players have the ability to flop. Starting his career on WeMadeBadProtoss and ending on Jin Air Green Wings before it was cool, Pure has marked the worst return of any A-team player in the KeSPA era. Playing over a hundred games since the end of 2013, Pure still manages to have a lower Elo, 29, then HoGiL (HoGiL!). Pure has a 34% winrate overall and peaks in his PvP match-up at 42%. His play lacks more creativity and inspiration than a melted crayon. Okay, so this preview may seem like pure evil, so I drew up one positive fact: Guemchi is one rank lower than Pure and he advanced out of his group! Only you can prevent pure hate. Iris and Bisu I have a bitter history. Iris, also known as Berserker, began his career in CJ Entus and ended his career coaching team AZUBU (Azuwho?) on February 2014. Since his return, he has one solid matchup, TvZ. However, with a data pool of 28 games, there isn’t enough to draw from recorded games. Here’s the deal: Iris went nearly a full year without league play. Since his disappearance, Iris has been training in a Starcraft hyperbolic chamber with ten times fastest game speed! Let’s do the math. Each day in the chamber is equal to a year. Iris was in the chamber for 11 months and 26 days which is a total of 361 years training for SSL. If Iris was able to use that time effectively and bring back his KeSPA form, then he is a lock for advancing and possibly even advancing first in this group. Sea during the Challenge Round. However, he so nicely wraps up this bundle of three players who manage to have overall winrates under 45%. Olympus also ranks lowest in the group with an Elo rank of 38. His odds of advancing are lower than Voldemort’s chance of defeating Harry Potter (spoilers!). To wrap this up nicely, hero is a top ten ranked player. The average rank among the three remaining players is a rank of 33. Hero has been on fire lately and even took down some really solid Terrans. He is the easiest and first pick of this group to advance. The second pick boils down to this. Pure has only won 2 games in a row 5 times out of 122 games. Olympus has only played 2 KeSPA era games where he lost both to Kal. Iris has an incredible KeSPA record and the most offline gaming experience. While Iris doesn’t have the SOSPA era record yet to support this pick, he has the best history among the bottom three and is a must pick to advance in second place. ZerO is statistically the best Zerg in the current era with the highest Elo among Zerg players. His performance has been on the upswing since SSL10, taking first place in PianO Starleague and third place in the HungryApp StarLeague. His ZvP sits at around 74% with the only major loss from his series against free in the Draemong Starleague. The fact that the Terran in the group is not a player called Sea and with no other Zerg in sight, it's safe to say that ZerO should plow through this group. Movie has been kept busy since the last SSL by his excursions to China to play in various exhibition matches and through his involvement with Chinese streaming services. Now, he's back in Korea to fight in SSL11 and he's been put in a tough group with both Jaehoon and ZerO being big threats to his advancement towards the Ro16 even with his strong PvZ and PvP. Since his opening game is against Sharp who is probably going to get dismantled pretty easily, Movie only needs to face one of these two opponents in an elimination match with Jaehoon being a better choice for him. On paper, it would seem like Jaehoon is more likely to advance over Movie. He is more active in tournaments, even coming in second place in the Draemong Starleague where he only played against Terran the entire tournament, whereas, Movie has been more active in the Chinese scene. However, the pressure of playing an offline tournament especially at the OGN studio in Yongsan can work in Movie's favour since Movie has more experience and less nerve issues than Jaehoon. Jaehoon’s opening game is against ZerO and with an abysmal PvZ of 35%, he's going to have a hard time overcoming ZerO. Sharp is another player who advanced through from the challenger round where he beat Lazy 2-1, but, with opponents such as Movie who have only lost against the best Terrans, Jaehoon who has been tearing up Terrans left and right and a high-caliber Zerg in ZerO, it would take more than a miracle for this Terran to advance from this group. Olympus getting to be paired against pure first works to his advantage as he has a good chance of winning against pure and then he only needs a (cheese) win against either hero or iris to advance. movie doesnt look that good either, looks pretty bad in a COSL showmatch with zero very recently. who goes out with zero in group F depends on whether jaehoon or failhoon shows up that day. I thought Movie was busy with his business? He's been going to China too? Heh, no wonder he's out of practice. i might pick jaehoon over movie hes been looking pretty sharp recently (no pun intended). Movie has been playing so bad lately. cmon Movie, you can do this! I didn`t seen lackluster games like these in a while. Pure and Movie. This is the uncertainty. How active have they been? Pure has a bad rep, but he was going kind of deep in some of the leagues some months back. His bad stats is because he had a long hard time getting back into form when he returned to BW. But he was getting back into that saddle, but then he disappeared from the leagues 4 months ago. 6 months back Movie's pvz was still on an incredible Bisu-like level - he was dismantling zero a couple of times in ssl and cosl showmatch. He was enigmatic because he was usually absent from the leagues (the smaller ones), but when he decided to show up his pvz was dropping jaws. But people say he is out of form and that makes me sad. What about Olympus? I dont know much about him. I saw his games against Sea and i think it was more due to Sea choking than olympus playing that great. Anyone know if he can be a new protoss hope? We'll see what Olympus is made off in the next days and hopefully, in the next month/s. with some nice aggressive displays. good news for movie is that sharp and failhoon are at least very beatable for him. "Bisu: Good foresight, quick thinking and a macro beast among other things are where Bisu really shines. His games were really entertaining and his confidence shows in his gameplay. He's going to be the hardest player to beat." I can agree on that, he was very confident in his cheese. Hope to see Bisu is the hardest player to beat, after he switch to more standart games. So far it doesnt look better than his KSL run, where he started with cheese and ended up "teethless" against Mind in the next round. I think the next two weekends will be great matches. Super excited! Sorry for the noob question but can we watch these games anywhere? I really want to see Larva's, Hyuk's and obviously Bisu's games. Not a noob question; it's hard to find if you don't know where to look. You can watch them on OGN's YouTube channel. Sonic also puts them on his channel, but his channel is hard to find for obvious reasons. The Small VOD Thread in Brood War General is kept pretty up to date as well, and will help you avoid spoilers.